(17/P115) TRENTON – The Department of Environmental Protection has awarded an $18.4 million contract for the replenishment of beaches and dunes on southern Long Beach Island using sand dredged from Little Egg Inlet, a major thoroughfare for boat traffic between southern LBI and Brigantine that has experienced serious shoaling, Commissioner Bob Martin announced today. The contract – awarded to Oak Brook, Illinois-based Great Lakes Dredge and Dock Co. – is designed to dredge 700,000 cubic yards of sand, with an option to dredge an additional 300,000 cubic yards if needed. The DEP is paying for the project using funds from its Shore Protection Program. 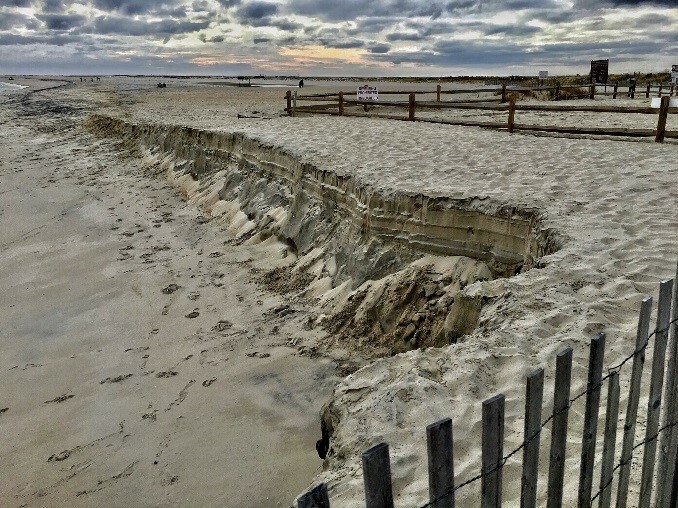 The sand will be placed along beaches and on dunes from Ocean Street in Beach Haven and south through Long Beach Township, repairing areas that sustained erosion as the result of storms since the Army Corps completed a $128 million beach and dune construction project that encompassed much of LBI. The contractor will focus on the area from the terminal groin to Pershing Avenue in Holgate and the areas just south of Nelson Avenue to Kentford Avenue and just north of Holyoke Avenue to Belvoir Avenue in Beach Haven. 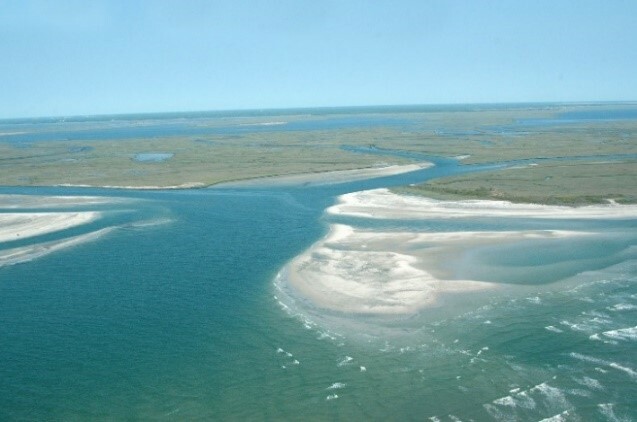 The removal of the sand from Little Egg Inlet, in the meantime, will clear a navigable boat channel a mile long and 24 feet below mean sea level to accommodate the numerous commercial and recreational fishing vessels, private boats and other craft that use the inlet to access Barnegat Bay, Great Bay and the Intracoastal Waterway. The contractor is immediately beginning to mobilize, with a goal of completing the project by March 1, 2018, in time for the next boating season and at a time of year that takes advantage of natural wave actions that will push additional sand onto the beaches. One of the widest ocean inlets in New Jersey, Little Egg Inlet is extremely dynamic, with shoals constantly shifting with the seasons. The federally marked waterway has never been dredged. Instead, the U.S. Coast Guard every year would use buoys to mark the deepest and safest natural route through the inlet. The marked channel in this area has at times extended as far as a mile into the ocean. In many places, the channel had become less than six feet below mean sea level, making navigation very difficult, especially when factoring in the rolling of waves in the ocean. In March of this year, the Coast Guard pulled buoys marking the channel due to concerns that buildup of sand in the channel had become too severe for safe passage of boats. The Coast Guard warned boaters that use of the inlet would be at their own risk. The U.S. Army Corps of Engineers recently issued a permit needed to dredge the channel, following an extensive environmental review conducted in partnership with the U.S. Fish and Wildlife Service and DEP. The DEP has also issued required permits. The DEP has designed the project to have negligible to no impact on the nearby Holgate section of the Forsythe National Wildlife Refuge or migrations of fish, and will work closely with the Fish and Wildlife Service, the National Marine Fisheries Service, the Army Corps of Engineers, and the DEP’s Division of Land Use Regulation and Division of Fish and Wildlife to ensure protection of natural resources.